The terrible things that occur in the Japanese town of Taiji happen daily for six months of the year, although they are now well hidden from view. Secret cameras, however, have made their way into Taiji's cove, and this video clip is from some of these cameras. Action for Dolphins doesn't want to shock unnecessarily, but if you want to understand why we're so passionate, please see for yourself the horror that goes on in Taiji. We invite you to watch just 30 seconds here. Don't worry if you can't make it to the end - many people can't. We warn you that it's horrific footage. We ask that you don't show this to children. If you do take the challenge, we hope you will join us as a Dolphin Defender - with your help we believe we can bring an end to what you're about to see. I've seen this and gosh - you've just got to see it for yourself. one of the most pressing animal cruelty issues in the world today. Unlike whale hunts, dolphin hunts are completely unregulated by international bodies, and dolphins continue to be killed in their thousands. and we'd be delighted if you'd consider becoming part of our efforts by joining us as a member. 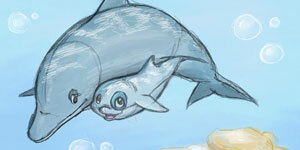 Together we can stop dolphin hunting. It can be done. dolphin hunting to an end forever. AFD is advocating peacefully to give the dolphins a voice which they currently don’t have. Olivia Newton-John AO OBE is one of Australia's, and the world's, most celebrated entertainers, and a tireless champion for humanitarian causes. In her career as a singer, Olivia has sold more than 100 million albums, won four Grammy Awards, and had five #1 hits including the iconic "Physical", which topped the charts for ten consecutive weeks. But Olivia is perhaps best known for her co-starring role with John Travolta in "Grease", which catapulted her into super-stardom in 1978. Olivia has been dedicated to a range of charitable causes for many years, particularly health education and environmental causes, including being a passionate advocate for the protection of dolphins and whales. After surviving breast cancer, Olivia partnered with the Austin & Repatriation Medical Centre to create the Olivia Newton-John Cancer Centre on the Austin Campus her hometown of Melbourne. Olivia is also an ambassador to the United Nations Environmental Program, and served as a spokesperson for the Children's Health Environmental Coalition (CHEC) for ten years. She spends large amounts of time supporting organisations such as the Red Cross, the Cedars-Sinai Medical Center, the Rainforest Alliance and Concept Cure. Olivia also helps promote the Liv Kit, a self-exam kit created to help woman detect signs of breast cancer early. In 1979, Queen Elizabeth II awarded Olivia an OBE (Officer of the Order of the British Empire) for her services to charity and to the entertainment industry. She was awarded the OAM in the Queen's Birthday Honours List in 2006 in recognition of her services to the entertainment industry, the fight against breast cancer and the environment. Please do what I've done - join AFD. It's just a little bit of effort, but it's a very big deal. 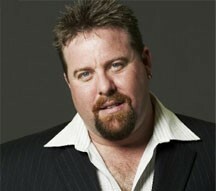 Shane Jacobson is an Australian actor, director and writer, and one of Australia's best-loved comedians. Shane is perhaps best known for co-writing and starring in Kenny, one of Australia's most successful films. Shane played the iconic lead character Kenny Smyth, a Melbourne plumber who works for plumbing company Splashdown, a role for which he was awarded the 2006 Australian Film Institute Award for Best Actor in a Leading Role. The role also earned him the 2006 Film Critics Circle of Australia Award for Best Actor in a Lead Role. Shane went on to star in numerous Australian films including Charlie & Boots alongside Paul Hogan, and also took to the stage in the major 2008 theatre production of Guys and Dolls. His portrayal of Nicely-Nicely Johnson was recognised with the prestigious Helpmann Award for Best Supporting Actor in a Musical. Shane is currently starring in Peter Heliar's ensemble comedy It's a Date alongside Asher Keddie. If you'd like to help, become a member of AFD, join with me, and together we can stop this inhumane practice. 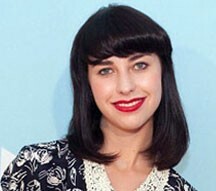 Kimbra Johnson is a New Zealand-born composer and recording artist. Her debut album Vows, released in 2010, reached the top 5 in New Zealand and Australia, and she was named Best Female Artist at the ARIA awards in 2011 and 2012. Kimbra came to global attention with the release of the single "Somebody that I Used to Know", on which she performed with Australian singer Gotye. The song topped the charts in 26 countries including the US, UK and Australia, and became one of the best-selling singles of all time. At the 55th Grammy Awards in 2013, Kimbra was the co-winner with Gotye of the awards for Record of the Year and Best Pop Duo/Group Performance. We can make a difference - we must take a stand. Layne Beachley is the most successful female surfer of all time. She became the Women's World Champion in 1998, and won the title again in 1999, 2000, 2001, 2002, 2003 and 2006. She is the first woman in history to win seven world championships, six of them consecutive. Outside surfing, Layne is known for her generosity in lending a hand for worthwhile causes in the community, having been involved in numerous charitable works and organisations. She has served as an ambassador for Unicef, the National Breast Cancer Foundation, Planet Ark, Club Sporanza, the Day of Difference Foundation, the Laureus Sport For Good Foundation, Sunnyfield and Tourism NSW. One of Layne's passions is assisting young women in achieving their dreams, and in 2003 Layne created the Aim for the Stars Foundation to support and promote the academic, sporting, community and cultural endeavours of young women across Australia. I commend AFD for their work, and I hope you will support it. Peter Singer AC is an Australian philosopher regularly described as the most influential philosopher alive today. He is best known for his work in bioethics and his role as one of the intellectual founders of the modern animal rights movement. In 1975, Peter published Animal Liberation, a book animal activists point to as the catalyst for the modern global animal rights movement. Animal Liberation put forward what is considered a founding idea of the animal welfare movement - that all beings with interests (all beings capable of enjoyment or suffering) deserve to have these interests taken into account, regardless of their species. Peter has written or edited over forty books on issues of applied ethics, including animal welfare and poverty. He is currently Ira W. DeCamp Professor of Bioethics at Princeton University and Laureate Professor at the Centre for Applied Philosophy and Public Ethics at the University of Melbourne. Peter has been honoured with numerous awards and recognitions throughout his career. He was made Australian Humanist of the Year in 2004, was voted one of Australia's ten most influential public intellectuals in 2006 and was listed on Time magazine's list of "The 100 Most Influential People in the World" in 2009. In June 2012, Peter was named a Companion of the Order of Australia for "eminent service to philosophy and bioethics as a leader of public debate and communicator of ideas in the areas of global poverty, animal welfare and the human condition". I've seen the footage - it's one of the most disgraceful things I've ever seen. Pat Rafter is an all-round Aussie legend. As Australia's greatest singles tennis player since the legendary John Newcombe in the 1970s, a two-time US Open champion and current Davis Cup coach, Pat is amongst the greatest of all Australian sporting heroes. He was known during his tennis career for his exemplary fair play practice, earning him the respect and admiration of his fellow players and tennis and sports fans alike. Outside tennis, Pat is acknowledged for his work to help seriously ill children, and his advocacy for the fair and humane treatment of animals. He donated half the prize money from his US Open wins to the Starlight Children's Foundation, and in 1999 established his own Cherish the Children Foundation. He is also an ambassador for Animals Australia's "Make it Possible" campaign to end factory farming. In the community, Pat is the spokesman for Coastcare, an environmental organisation in Australia funding community groups to care for local beaches, and is a keen supporter of the "lil nippers" junior lifesaving program. In 2002, Pat was named Australian of the Year in recognition of his achievements in sport and services to charity. We have a good shot at stopping the slaughtering of dolphins in Taiji. 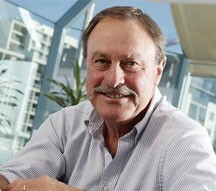 John Newcombe AO OBE is one of the greatest tennis players in history. John won seven Grand Slam singles titles, and an all-time record 17 doubles titles. He is one of the few tennis players to have been ranked World No. 1 in both singles and doubles. In 1986 his achievements were recognised with his induction into the International Tennis Hall of Fame in Rhode Island, USA. In 1979 he was made an Officer of the Order of the British Empire (OBE), and in 1989 he was made an Officer of the Order of Australia (AO) for his services to sport. John is also recognised by the National Trust as a "National Living Treasure". If we speak up on this issue, we will be seriously listened to. Professor the Hon Gareth Evans AC QC has been Chancellor of the Australian National University since January 2010, and is President of the Brussels-based International Crisis Group, the independent global conflict prevention and resolution organisation which he led from 2000 to 2009. Gareth previously spent 21 years in Australian politics, thirteen of them as a Cabinet Minister. As Foreign Minister (1988-96) he was best known internationally for his roles in developing the UN peace plan for Cambodia, concluding the Chemical Weapons Convention, and initiating new Asia Pacific regional economic and security architecture. Gareth was made a Companion of the Order of Australia (AC) in 2012 for "eminent service to international relations, particularly in the Asia-Pacific region, as an adviser to governments on global policy matters, to conflict prevention and resolution, and to arms control and disarmament." In December 2011 Foreign Policy magazine cited him as one of the Top 100 Global Thinkers for 2011. In May 2010 Gareth was awarded the 2010 Franklin and Eleanor Roosevelt Institute Four Freedoms Award for Freedom from Fear, for his pioneering work on the Responsibility to Protect concept and his contributions to conflict prevention and resolution, arms control and disarmament. I've always wished there was something I could do - and now there is. 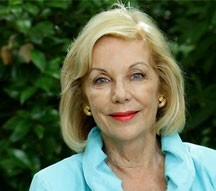 Ita Buttrose AO OBE is legendary for her groundbreaking media and publishing career. Already women’s editor of the Daily Telegraph and the Sunday Telegraph at the age of 23, Ita went on to become editor of the Australian Women’s Weekly in the 1970s, and in 1980 became the first female to be appointed editor of a major Australian newspaper when she took charge of the Daily Telegraph. Ita now dedicates her considerable energy to championing education and healthcare. Since 2011, Ita has been National President of Alzheimer’s Australia, and she is also Vice President Emeritus of Arthritis Australia. Ita also uses her national profile to raise awareness of breast cancer, HIV/AIDS and prostate cancer. In 2013, Ita was honoured for her philanthropic work when she was appointed Australian of the Year. Stopping this cruelty should be a priority. Kerri-Anne Kennerley has been a fixture of Australian television for two decades. She first became popular with viewers as the co-host of the Ten Network’s Good Morning Australia in the 1980s. 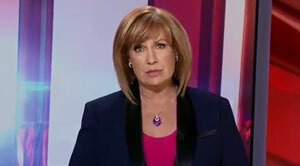 In 1996, Kerri-Anne became the host of Midday, the Nine Network’s cornerstone of daytime entertainment. The enormous success of the show led to Kerri-Anne being nominated for the Gold Logie for three years running in 1996, 1997 and 1999. Until 2011, Kerri-Anne hosted Mornings with Kerri-Anne, which celebrated its 1500th episode in 2009. Quite simply the cruellest thing happening on the planet. 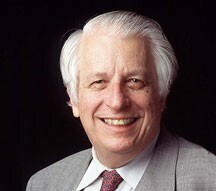 Sir Gustav Nossal AC CBE is an inspirational figure, both for his globally significant contributions to medicine, and for his distinguished contribution to the community. Gus is an internationally renowned scientist famous for his discoveries in immunology. After completing his PHD in medicine in 1960 under the supervision of Sir Macfarlane Burnet, Gus was Director of Australia's premier medical research institute, the Walter and Eliza Hall Institute, for thirty years until 1996. Gus has received numerous awards and recognitions throughout his career. He was knighted in 1977 for his groundbreaking work in immunology and made a Companion of the Order of Australia in 1989. He was awarded the Albert Einstein World Award of Science in 1990 and in 1996 he won the prestigious Koch Gold Medal for major advances in biomedical science. He has been identified as one of Australia's "National Living Treasures". Gus is involved in a number of other organisations that allow him to reach people in many areas of the community, including the Centenary of Federation Victoria Committee, the Council for Aboriginal Reconciliation and The Global Foundation. In 2000 he was named Australian of the Year in recognition of his service to science and the community. "One of Australia's most celebrated medical scientists and humanitarians"
Please support AFD and help do something to put this deplorable practice to an end. Peter Doherty AC is an Australian veterinary surgeon and researcher in the field of medicine. Peter's research focuses on the immune system. In 1995, he was awarded the Nobel Prize in Physiology or Medicine jointly with Rolf M. Zinkernagel for his work describing how the body's immune cells protect against viruses. 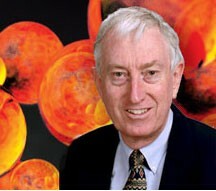 Amongst the many awards and honours Peter has received during his career, he received the prestigious Albert Lasker Award for Basic Medical Research in 1995, is recognised by the National Trust as an Australian Living Treasure, and was named a Companion of the Order of Australia, as well as Australian of the Year, in 1997. AFD is doing something to stop the slaughters. I strongly support their activities. 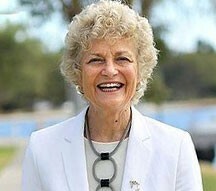 Fiona Stanley AC, a "National Living Treasure", is one of Australia's best regarded scientists, known for her contributions in the fields of child health and epidemiology (the study of disease in populations). She has made significant discoveries benefiting the understanding of birth disorders such as spina bifida and cerebral palsy. Fiona is also recognised for her considerable contribution to Aboriginal maternal and child health in Western Australia. She is founding Director of the Telethon Institute for Child Health Research in Perth, which researches the prevention of major childhood illnesses, and is UNICEF's Australian Ambassador for Early Childhood Development. In 2002 Fiona was a driving force behind the formation of the Australian Research Alliance for Children and Youth, which had signed up over 340 member organisations by 2009. The Fiona Stanley Hospital, which will be Western Australia's flagship health facility when it opens in 2014, was named in Fiona's honour. Fiona was recognised for her contributions to science and the community as Australian of the Year in 2003. As Australian of the Year, Fiona toured the country stressing the great value of scientific research in improving the lives of children and Aboriginal people. I hope you'll join with me in putting a case to protect these marvellous creatures. Is Barry Jones the smartest person in Australia? Barry is famous for his extraordinary general knowledge, which saw him clock up over 200 appearances on the classic quiz show Pick a Box between 1960 and 1968, seldom getting an answer wrong and accumulating a small fortune in prizes. Barry is a polymath – a writer, lawyer, social activist, broadcaster and Australia's longest standing Science Minister. He has served on the Executive Board of UNESCO, and was Vice President of the World Heritage Committee. Barry now chairs the Port Arthur Historic Site Management Authority and serves on the boards of six medical research institutes. 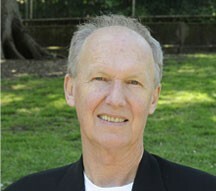 Barry is listed by the National Trust as a "National Living Treasure", and is the only person to have been elected as a fellow of all four Australian Learned Academies. He was appointed Officer of the Order of Australia (AO) in 1993. This is a small thing we can do to make a real difference to the lives of thousands of dolphins. 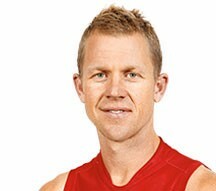 Ryan O'Keefe is an Australian Football League player with the Sydney Swans, and was part of the Swans' 2005 and 2012 premiership-winning sides. Ryan was a member of the 2006 All-Australian side and is one of Sydney's key forwards. He is known for his superb fitness and running ability, and is among the very best in the AFL in terms of ground coverage. Ryan has been recognised with numerous AFL awards including the 2006 Jim Stynes Medal and the Norm Smith Medal in 2012, as well as many club awards such as the Bob Skilton Medal for being the Sydney Swans' Best and Fairest Player in 2009 and the award for the Best Player in Finals in 2012. Outside the AFL, Ryan is an ambassador for the Oncology Children's Foundation, and in 2010 he cycled 500 kilometres on a trek through northern Vietnam to raise more than $50,000 for the OCF's 200 Tomorrows program, which provides funding for research into childhood cancers. We need to speak out for the dolphins. 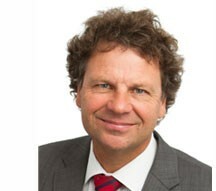 Simon McKeon AO is acknowledged for his distinguished career in business, his extensive philanthropic work and also as a world record-setting sportsman. In 2011 he was named Australian of the Year. Simon is Chairman of CSIRO, the national government body for scientific research in Australia. He is also Chairman of Business for Millennium Development, which encourages business to engage with the developing world, and Chairman of the Global Poverty Project in Australia. He is a director of Red Dust Role Models, which works with remote indigenous communities, and is also a member of the Australian Federal Government's Human Rights Grants Scheme Advisory Panel, the National Disability Insurance Scheme Implementation Taskforce and the Charities and Not-for-Profit Taskforce. Simon was also a director of World Vision for 15 years. 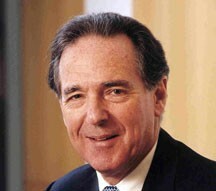 In business, Simon has served as Executive Chairman of Macquarie Bank since 1994 and was President of the Australian Takeovers Panel from 1999– 2010. Simon is also an avid sailor, and served as helmsman for Australia's successful syndicate in the Little Americas Cup between 1985 and 1996. In 1993, Simon and sailing partner Tim Daddo became the fastest sailors ever recorded with a speed of 46.52 knots, a world record which was not broken until 2004. Supporting AFD is a very tangible way we actually can make a difference. 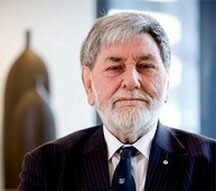 Ace Bourke is one of Australia's leading art curators; a pioneer in the field of Aboriginal art and a colonial art specialist. He is also a passionate advocate for the protection of animals, an interest which began with an unusual purchase he made in 1969. While on a shopping trip at Harrods department store in London with friend John Rendall, Ace spotted a cage containing a tiny lion cub for sale. The cub, which had been acquired from a zoo, had broken out of its cage one night and destroyed the merchandise in the carpet department, and Harrods was now keen to sell it. Ace and John purchased the cub, which they named "Christian", for £250. They raised Christian for a year in their London apartment, exercising him in a church graveyard and taking him for trips to the seaside. The three developed a close bond, but Christian's rapidly growing size made it increasingly impractical for him to live in London. With the help of conservationist George Adamson, Ace and John were eventually able to reintegrate Christian into the African wild. But it would not be the last time the three would meet. In 1973, Ace and John travelled to Kenya to see Christian. They did not know if Christian would remember them. Christian was now a member of a pride, and it was not clear that he would be friendly to humans. When Christian first saw Ace and John he at first slowly approached them, but he hesitated at a distance. Then, as if suddenly recognising his friends, he bounded toward them and jumped on them excitedly, wrapping his enormous paws around their shoulders in an embrace. You can see the extraordinary footage here. Two documentaries, Christian the Lion and The Lion from World's End, were made about the extraordinary friendship, and forty years later the YouTube clip featuring the unforgettable reunion has been viewed more than 20 million times. The mutual love and trust between Ace and Christian has become a symbol of the potential of human-animal relationships, and the importance and urgency of animal protection and conservation. 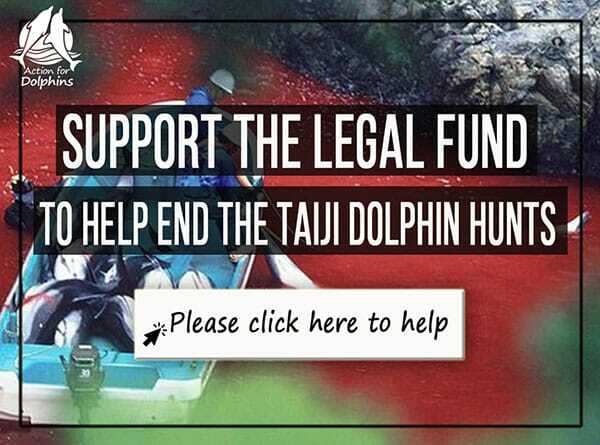 Please help us help the dolphins. 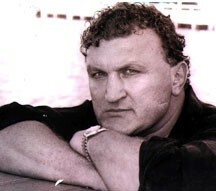 Joe Bugner is a Hungarian-British-Australian former heavyweight boxer. Joe was ranked among the world's top ten heavyweights in the 1970s, fighting such opponents as Muhammad Ali and Joe Frazier. Joe twice held the British and British Commonwealth heavyweight titles and is a three-time European heavyweight champion. He fought for the world heavyweight championship against Muhammad Ali in 1975, losing on points in a second bout with Ali. In the 1980s Joe relocated to his current home in Australia, adopting the nickname "Aussie Joe" and taking on fighters such as Greg Page, David Bey and James Tillis. He won the Australian heavyweight title in 1995 and the WBF heavyweight championship in 1998 against James "Bonecrusher" Smith. I give AFD my full support. I hope you’ll join me. Graeme Samuel AC was appointed Companion of the Order of Australia in 2010 for his "eminent service to public administration" both in economic reform and competition law, and to the community through leadership roles with sporting and cultural organisations. 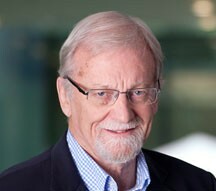 As Chairman of the Australian Competition and Consumer Commission (ACCC) from 2003 until 2011, Graeme became well known as a champion of consumer rights. Graeme was also formerly Managing Director of Greenhill Caliburn, a leading investment bank. He is currently a council member at the Australian National University and an Adjunct Professor in Monash University's Faculty of Business and Economics. He is also Chair of the Taxi Services Commission. Graeme was formerly chairman of the Melbourne and Olympic Parks Trust, a commissioner of the Australian Football League, and a trustee of the Melbourne Cricket Ground Trust. In 1995 he was elected a life member of the AFL, and in 2000 he was awarded an Australian Sports Medal for services to sport. The cruel slaughter of dolphins and whales must stop. Ondine Sherman is co-founder and Managing Director of Voiceless, an Australian think tank working to protect factory farmed animals and kangaroos. Voiceless drives reform in animal protection by offering grants and prizes, creating influential networks, promoting informed debate and conducting research exposing legalised cruelty. Its ambassadors include Brian Sherman, Jane Goodall, the Hon Bob Carr, Hugo Weaving, Michael Kirby, John M Coetzee and Ken Henry. Ondine has been profiled on numerous occasions including on ABC Television's Australian Story, in a cover story for The Australian Financial Review Magazine, in The Weekend Australian Magazine's Double Take and in the Sydney Morning Herald. 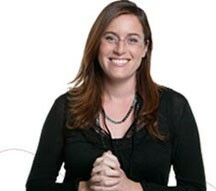 In 2009 Ondine was nominated by News Limited and Microsoft as one of Australia's top 10 Community Leaders. why are dolphins being killed? Don't dolphins have legal protection? is it different to killing farm animals? Tracy Grimshaw asks Dr Diana Reiss, one of the world's leading experts on dolphin intelligence. Dolphins are extraordinary animals, with complex personalities, friendships and lives. This site is packed with information about them - you can read stories that will surprise and amaze you, watch gasp-worthy footage, or read about what we know of dolphins' unusual intelligence. Click a button below or head to the "Images & Videos" tab for more. Enjoy!